I am enjoying being with the church of Christ in Chipley, FL, for a 3-day meeting conducting a Visualized Survey of the Bible. This morning we will include that challenging period of Israel’s Divided Kingdom. Once Jehu was anointed to be king of Israel (841 BC) he immediately killed King Jehoram. But the Queen-mother Jezebel (wife of deceased King Ahab) had to be reckoned with also. 30 When Jehu came to Jezreel, Jezebel heard of it, and she painted her eyes and adorned her head and looked out the window. 31 As Jehu entered the gate, she said, “Is it well, Zimri, your master’s murderer?” 32 Then he lifted up his face to the window and said, “Who is on my side? Who?” And two or three officials looked down at him. 33 He said, “Throw her down.” So they threw her down, and some of her blood was sprinkled on the wall and on the horses, and he trampled her under foot. 34 When he came in, he ate and drank; and he said, “See now to this cursed woman and bury her, for she is a king’s daughter.” 35 They went to bury her, but they found nothing more of her than the skull and the feet and the palms of her hands. 36 Therefore they returned and told him. And he said, “This is the word of the LORD, which He spoke by His servant Elijah the Tishbite, saying, ‘In the property of Jezreel the dogs shall eat the flesh of Jezebel; 37 and the corpse of Jezebel will be as dung on the face of the field in the property of Jezreel, so they cannot say, This is Jezebel. '” (2 Kings 9:30-37). For the prophecy referenced by Jehu, see 1 Kings 21:23. 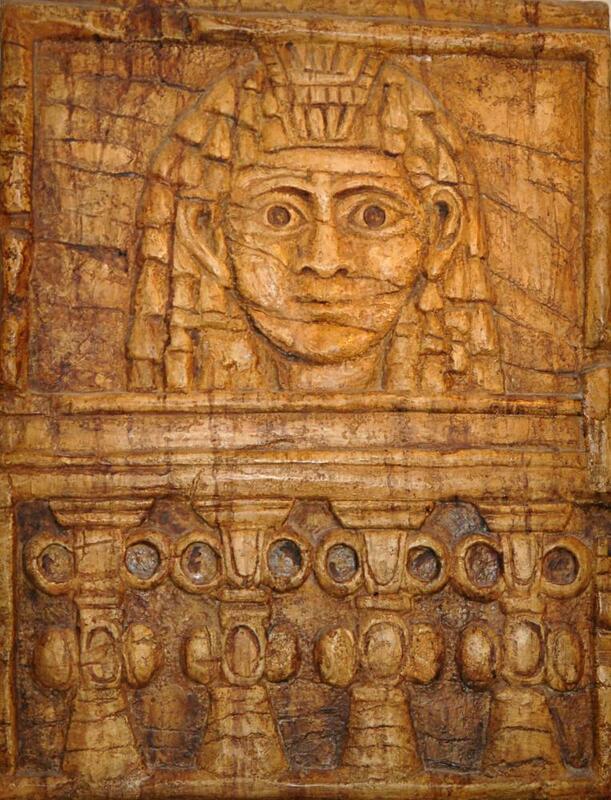 Our photo is from the Phoenician exhibit at the Hecht Museum at the University of Haifa, Israel. The placard dated this artifact at 8th century bc, which would be just slightly after the time of Jezebel. It well illustrates her looking out the window at Jehu before she was thrown to her death below. This entry was posted on Sunday, August 7th, 2016 at 8:16 AM and is filed under Bible History and Geography, Biblical Interpretation, Israel, Old Testament, photography, Travel. You can follow any responses to this entry through the RSS 2.0 feed. You can leave a response, or trackback from your own site.